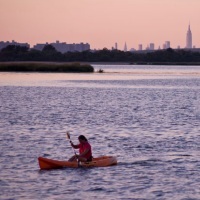 Enjoy sweeping views of New York City and other NY locales by browsing through our list of places to kayak in NY. Improve your kayaking skills or meet fun people to kayak with by going kayaking in New York. Take picturesque, scenic tours while going kayaking in NY. Free Kayaking Activities in NY! Red Hook Boaters is an all-volunteer organization that gives the people of its community safe, public access to the New York waters and brings them together through the wonderful sport of kayaking. All programs are 100% free! 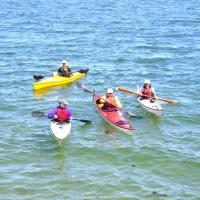 The club provides all equipment, along with paddling and safety tips. Kayak along a protected area of NY's great Louis Valentino, Jr. Pier Park and explore the cove at your own pace. Rides are generally between 15 and 20 minutes. Members can also participate in shoreline clean-up activities, allowing them to maintain the cleanliness of the launch site. If you're interested in volunteering for the organization, the e-mail address is provided on the website. A Fun Kayaking Club in New York! Founded in 1927, the Touring Kayak Club caters to people from all walks of life with a passion for kayaking. Even if you're new to kayaking and would like to better explore the sport, this club is perfect for you. Membership includes two boathouses for kayak storage, lockers, showers, a kitchen, beach access, and a large deck and club room. The club's headquarters are located on Bronx's City Island. Browse the website to keep updated on upcoming events like kayaking trips, parties, and races. 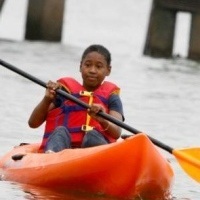 A Fun NY Kayaking Club for all Levels and Abilities! 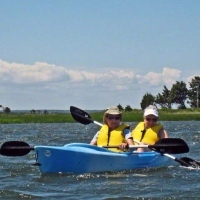 No experience (or kayak) is required to join the Long Island Kayak Club. Learn the sport of kayaking safely and efficiently, as you progress from novice to expert. 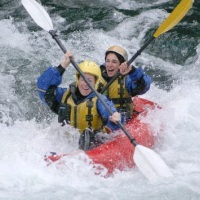 The club serves as a great way for you to meet and socialize with others who adore kayaking. If you do choose to use your own boat; the club now accepts paddlers with short kayaks, canoes, inflatables, and pedal boats. All participants must be at least 18 years of age. Children are only allowed on private tours and family trips. Most of the kayaking trips are designed for beginners, and those that aren't will be labeled as "intermediate" or "advanced." The membership fees are affordable, and so are the trip fees for both members and non-members. Learn Kayaking in New York! 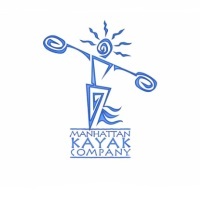 Founded in 1995, the Manhattan Kayak Company is one of the best kayaking schools and touring companies in New York. 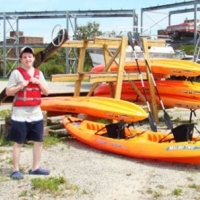 The NY kayaking company has helped thousands of people become proficient kayakers in short periods of time. The staff at Manhattan Kayak Company is incredibly talented and enthusiastic, with members ranging from top whitewater freestylers to country circumnavigators. The staff members are more than happy to share their paddling tips and perspectives with you as a customer. The company offers amazingly fun group outings for the special event of your choice, whether it be a birthday or a team-building event. The most popular event is the 2 1/2-hour lesson and tour. New York Kayak Company, Inc.
A Kayaking School, Store, and Club all in one! Committed to optimizing the urban paddle experience; the New York Kayak Company consists of certified sea kayakers that guide kayak trips, teach sea kayaking, manage a kayak club, and sell kayaks and kayaking accessories. All customers are treated to an incredible selection of high-quality kayaking gear, apparel, and accessories; along with timely delivery and competitive prices. Whether you're a novice or an experienced paddler, you can take advantage of one of the company's fun and informative classes and tours. If you're organizing a group outing, the company offers a variety of affordable packages for business outings and group events. By becoming a member of the New York Kayak Company Club; you get exclusive access to a kayaking and SUP launch site on the Hudson River, kayak and SUP storage, locker rooms, local guided tours, world-class instruction, and great discounts on store purchases. Free and Safe New York Kayaking! 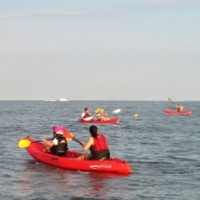 An all-volunteer organization, Kayak Staten Island provides free kayaking to the public at the shoreline on Staten Island's South Beach. The program provides everyone with the use of sit-on-top kayaks, life jackets, and paddles; along with paddling tips and launch/land assistance. In case you need further assistance, experienced kayakers will be on the water to help you. All kayaking rides are limited to 15 minutes and they're offered on a first-come, first-serve basis. Children under the age of 18 must be accompanied by a parent or adult guardian. To inquire more the kayaking club in NY, the e-mail address is provided on the website. Exciting Kayaking Adventures in NY! An innovative event specialist and professional kayaker, Johnny Miller has activated over 100 events that have catered to his clients' outdoor adventure needs. Johnny's services include event planning, promotion, and management; photo marketing, group adventures, corporate team building, and sports marketing. If you're searching for kayaking lessons in NY; Johnny will educate you on the skills and techniques needed to kayak on any body of water. Private and group lessons are available. Johnny also offers kayaking, hiking, and biking adventures in the Upstate NY area for corporate groups, youth organizations, and conferences. During each trip you will be led by professional, world-class guides. View the Manhattan and Brooklyn Skylines! A quaint family owned and operated marina in New York; Sunset Marina offers kayak rentals, as well as summer and winter kayak storage. The marina is one of the great places to go kayaking in New York as you'll be treated to spectacular views of the Manhattan and Brooklyn skylines. Plus, the sunsets are absolutely breathtaking! The marina's hours are 10 A.M. to 7 P.M. on weekdays and 8 A.M. to sundown on weekends. For subway commuters, the place is conveniently located only 4 blocks away from the Broad Channel Station in Queens. 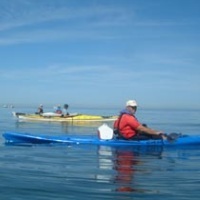 Great Sea Kayaking Trips in NY! A volunteer-run, 501C3 non-profit membership organization in New York; the Sebago Canoe Club is located on the Paerdegat Basin with direct access to the spectacular waters of Jamaica Bay. The members consist of kayakers, canoeists, sailors, rowers, and flatwater racers. All members are given access to a clubhouse and club boats, boat storage; instructional programs in sea kayaking, sailing, and flatwater racing; and a cabin on Lake Sebago in Harriman State Park. Spanning a 75-year history; the club is a haven for small boat enthusiasts in NY. 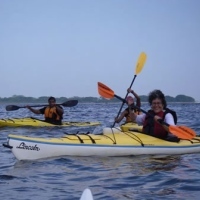 During the peak season, Sebago offers Jamaica Bay sea kayaking trips on Saturday mornings and Wednesday evenings for members and guests, as well as regional trips in the Tri-State area. 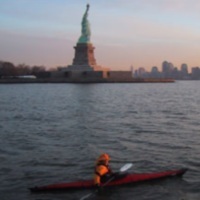 If you're interested in visiting some of the best places to kayak in New York, fill out the membership form on the website. Your One-Stop Shop for all Things Paddling! Offering kayaking, paddle boarding, and biking on the North Fork of Long Island; Eagle's Neck Paddling Company is fully dedicated to the sport and spirit of paddling. Encounter numerous inlets, creeks, and marshes, as you experience the impeccable beauty of the North Fork area. The shop carries a wide selection of kayaks and paddling gear, accommodating people of all skill levels and needs. The certified instructors on-site will assist you in choosing the ideal kayak. 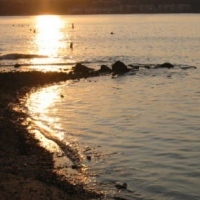 Eagle's Neck offers several specialty kayak tours, including sunset and full moon tours. You can also rent kayaks for affordable rates for anywhere from 2 hours to the entire week! See the website for details. A Spectacular Park for Kayaking in NY! Stretching four miles along the Hudson River, Riverside Park is regarded as one of NY's most spectacular parks. Enjoy tons of outdoor recreation like basketball, baseball, handball, roller hockey, skating, tennis, running, canoeing, and kayaking. Check the website for a list of kayaking launch sites, open from 10 A.M. until dusk on Tuesdays through Sundays. The boat basin offers public storage for up to 80 kayaks. During the spring and summer, you can rent out free kayaks at the lower tip of the park. Kayak rentals are only available during the weekends, weather-permitting. Limited paid parking is available, as well as street parking only a quarter mile away. Paddle across the NYC Harbor for Free! The Downtown Boathouse is a volunteer-run, non-profit organization dedicated to free public access to the NYC Harbor through public kayaking programs. Even if you've had no previous kayaking experience, you can take one of the club's kayaks out for a short 20-minute paddle inside the protected embayment in front of the boathouse. You will also be provided a life jacket, paddle, and some paddling tips. 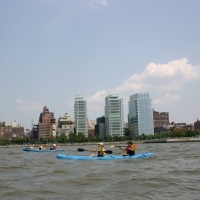 The kayaking activities take place in three different locations (Pier 40, Pier 96, and 72nd Street) on weekends and holidays, from the middle of May through the middle of October. Weather-permitting kayaking rides also take place on many weekday evenings. All paddlers must know how to swim and are required to stay within the designated area. Membership to the NY kayaking club is free and open to anyone, though a tax-deductible donation is suggested. Kayaking, Tubing, and Rafting in NY! Open all year round, Tubby Tubes is New York's premier downhill tubing park! One of the many fun attractions is the Henry Hudson Kayak Tour. The guided, 2-hour kayak tour takes you along 5 miles of flatwater. Both single and tandem kayaks are available. The tour includes a guide, kayak, lifejacket, shuttle, and lesson. All tours are available on weekends, by reservation. 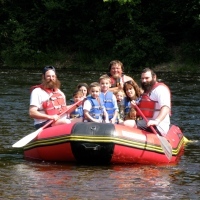 Other family fun activities at Tubby Tubes include snow tubing, river tubing, and lazy river rafting. If you get hungry at any point in time, stop by the delicious snack bar! The park is conveniently located only 5 minutes from Lake George, NY. Kayak Storage and Rentals in NY! A five-acre property in the heart of New York's Rockaway Peninsula; Marina 59 offers kayak storage and rentals, surfboard storage, and paddleboard rentals/storage/lessons. If you have any questions about kayak rentals or other inquiries, please call 718-945-4500 or send an e-mail to info@marina59.com. The marina itself contains such amenities as 200 deep water slips with hookup to water and electric, a 25-ton travel lift, slip storage for boats up to 50 feet, video surveillance, parking, new restrooms and showers, a bait and tackle shop, transient slips, winterizing and winterizing materials, winter storage, and a bar. Marina 59 is easily accessible from Brooklyn and Long Island.